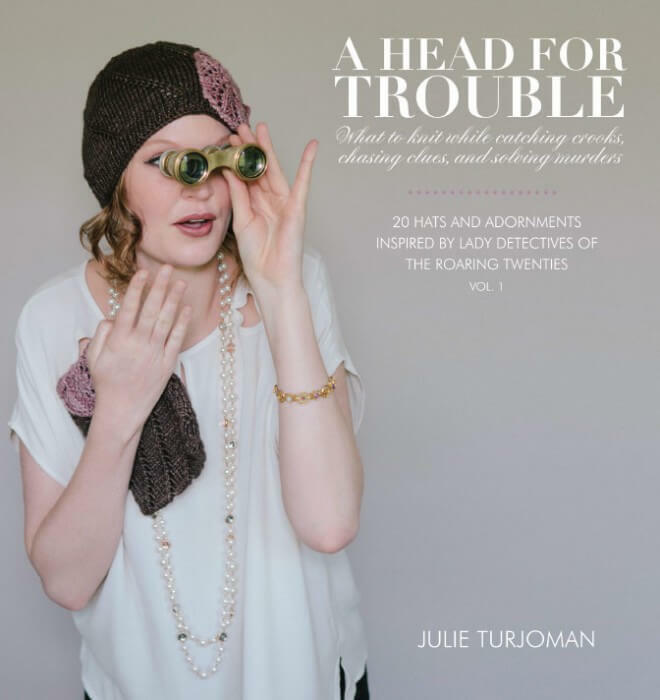 With only six days to go until the launch of A Head for Trouble, say hello to Coco, a fetching cloche and fingerless mitts combination, both of which are included in my bonus mini e-book collection, A HEAD FOR FASHION. 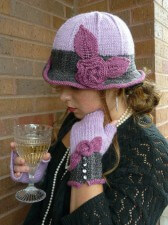 That’s Coco as in Gabrielle ‘Coco’ Chanel; brilliant, innovative fashion designer and deeply flawed human being. 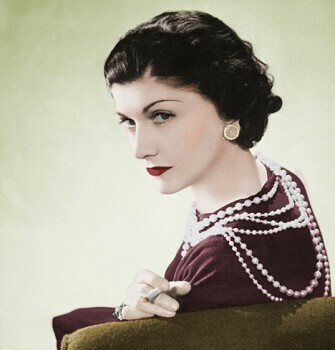 Creator of the “little black dress.” That Coco Chanel. 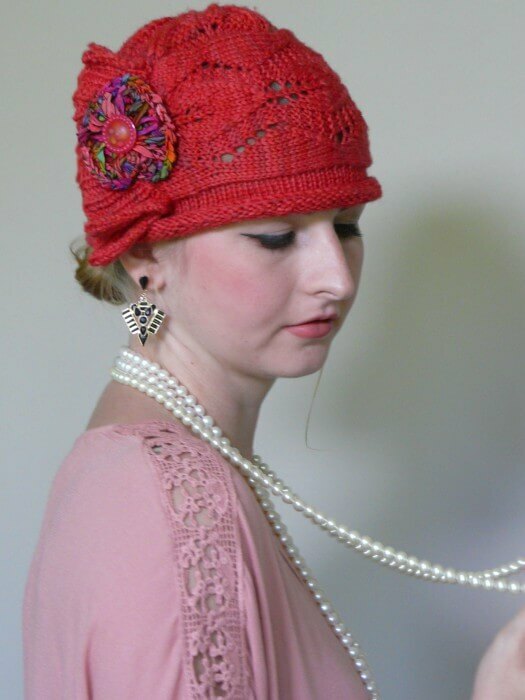 Chanel was the designer who, during the 1920s, popularized comfortable jersey knit fabric for women’s clothing, when it had previously been relegated to the manufacture of men’s underwear. 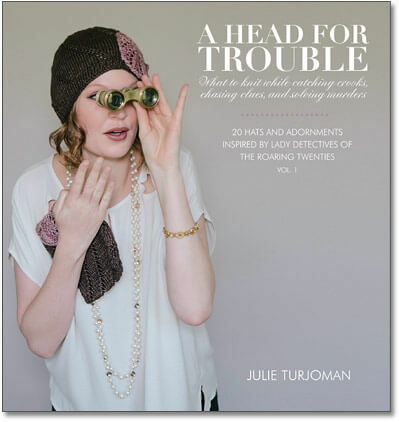 As a style-maker, she was a great proponent of the high-low mix; blending expensive couture pieces with costume jewelry, for example. 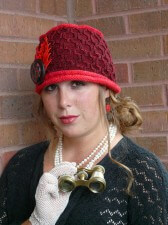 Her brand, encompassing clothing, handbags, and even the iconic Chanel No. 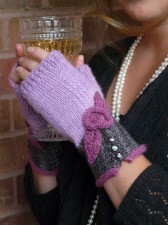 5 perfume, is successful even today. 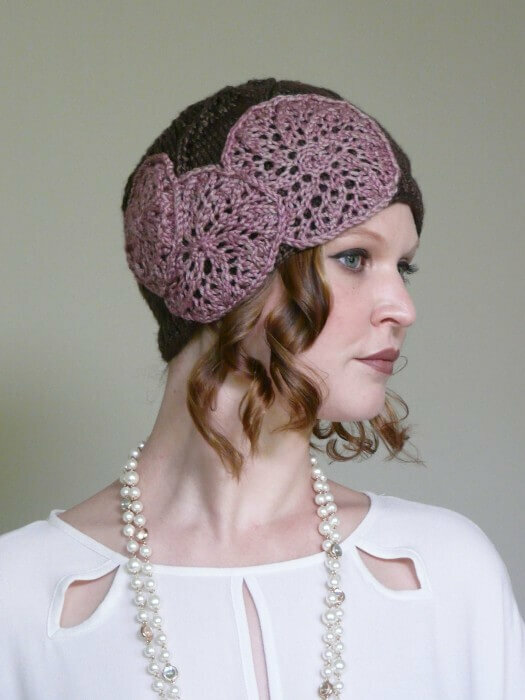 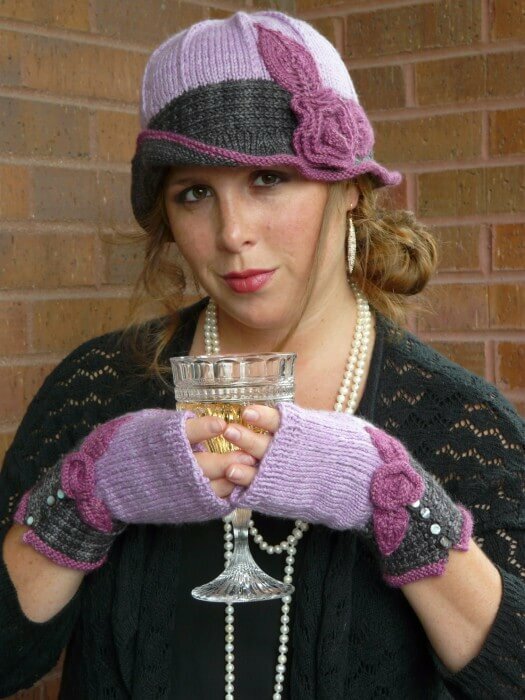 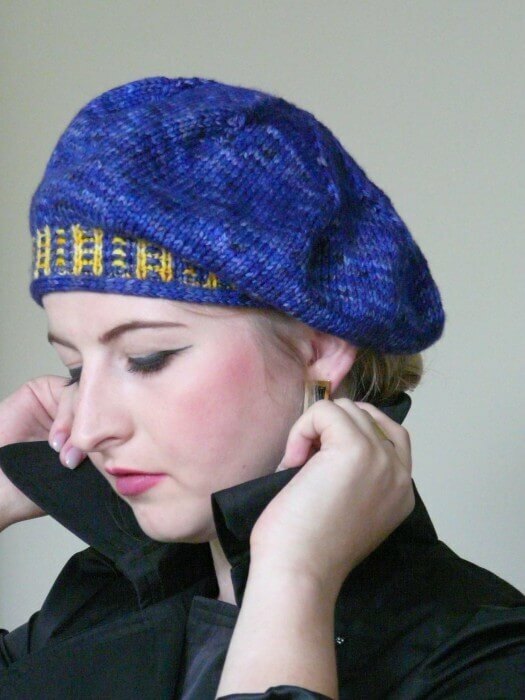 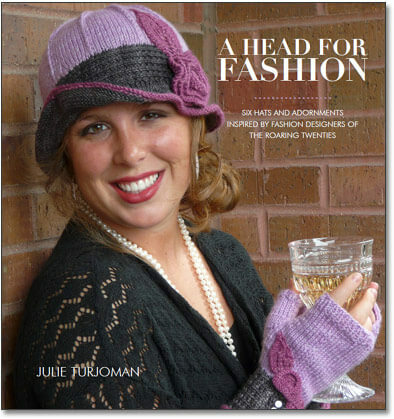 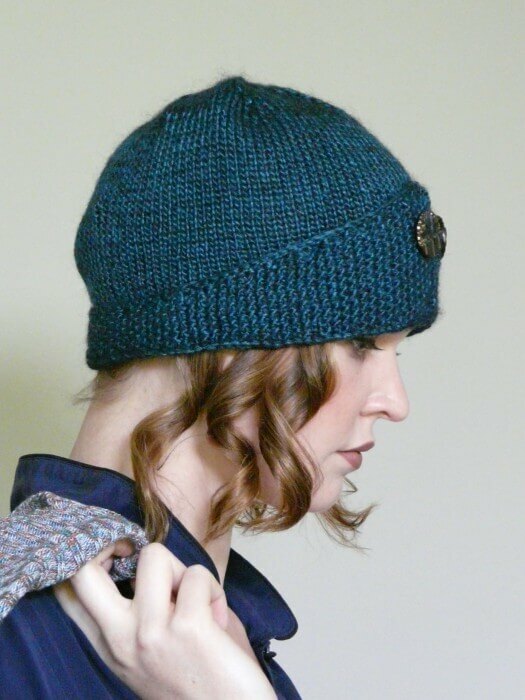 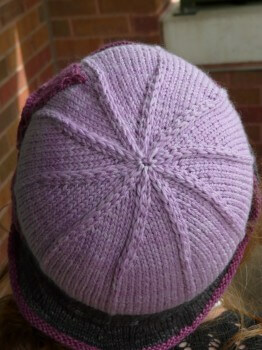 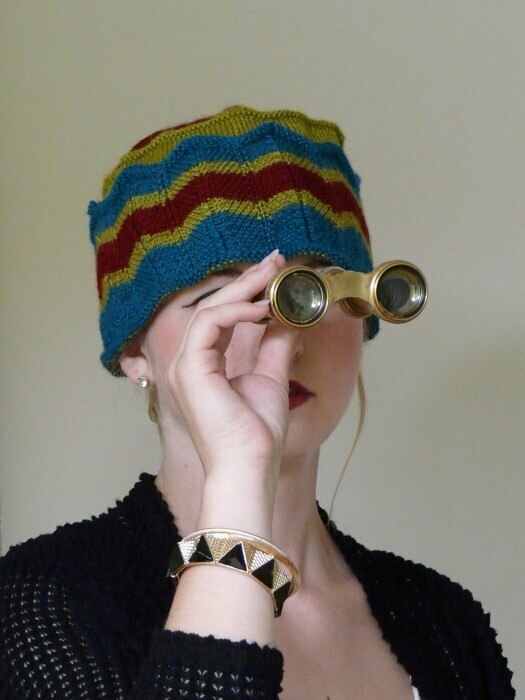 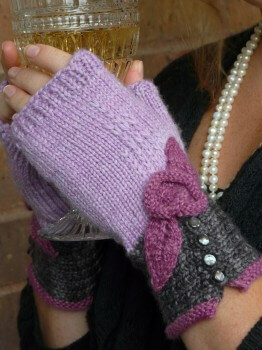 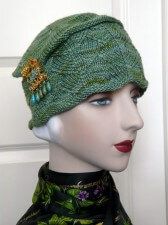 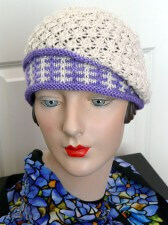 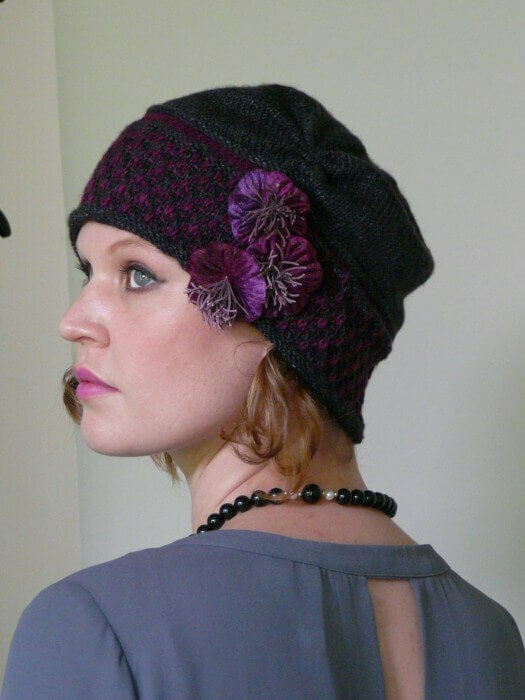 The Coco Cloche and Fingerless Mitts are two separate patterns in A HEAD FOR FASHION. 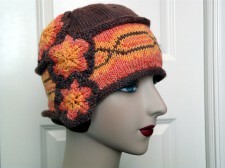 The patterns include instructions for the sweet knitted roses and leaves you see in the photos, naturellement. 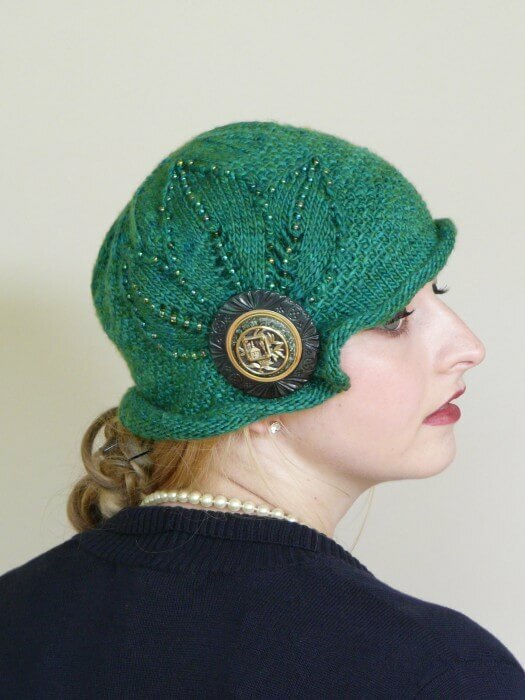 Unexpected texture, and tiny mother-of-pearl buttons at the cuffs are extra special embellishments that make these two projects unique and easy to personalize.